Buy Best Astro Real Pearls From Below Inventory & Get It Delivered World-Wide In 7-10 Working Days,Come browse our online inventory below and get lost in the magical world of Real Pearls (Moti)! "Venus jewellers Is Online Since 2007 So Buy Ur gems Online Now With Complete Safety & Assurity"
Product Description Gemstone Name : Natural real pearl Number of Pieces: 1 Pc Weight: 1.85 ct Gem Shape: Irr.. Product Description Gemstone Name : Natural keshi pearl Number of Pieces: 1 Pc Weight: 2.62 ct Gem Shape: Baroque.. Product Description Gemstone Name : Natural keshi pearl Number of Pieces: 1 Pc Weight: 2.67 ct Gem Shape: Baroque.. Product Description Gemstone Name : Natural keshi pearl Number of Pieces: 1 Pc Weight: 2.71 ct Gem Shape: Baroque.. Product Description Gemstone Name : Natural south sea moti Number of Pieces: 1 Pc Weight: 2.76 ct Gem Shape: .. Product Description Gemstone Name : Natural basra pearl Number of Pieces: 1 Pc Weight: 2.79 ct,5.07 chaw Gem Shape: .. Product Description Gemstone Name : Natural south sea moti Number of Pieces: 1 Pc Weight: 2.80 ct Gem Shape: .. Product Description Gemstone Name : Natural basra pearl moti Number of Pieces: 1 Pc Weight: 2.83 ct,5.18 chaw Gem Shape: .. Product Description Gemstone Name : Natural keshi pearl Number of Pieces: 1 Pc Weight: 2.84 ct Gem Shape: Baroque.. Product Description Gemstone Name : Natural keshi pearl Number of Pieces: 1 Pc Weight: 2.86 ct Gem Shape: Baroque.. Product Description Gemstone Name : Natural south sea moti Number of Pieces: 1 Pc Weight: 2.87 ct Gem Shape: .. Product Description Gemstone Name : Natural south sea moti Number of Pieces: 1 Pc Weight: 2.89 ct Gem Shape: .. Product Description Gemstone Name : Natural keshi pearl Number of Pieces: 1 Pc Weight: 2.95 ct Gem Shape: Baroque.. 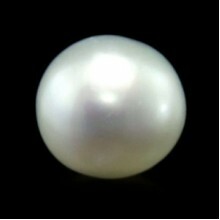 Product Description Gemstone Name : Natural basra pearl moti Number of Pieces: 1 Pc Weight: 3.57 ct,8.30 chaw Gem Shape: .. Product Description Gemstone Name : Natural south sea moti Number of Pieces: 1 Pc Weight: 3.60 ct Gem Shape: .. Product Description Gemstone Name : Natural south sea moti Number of Pieces: 1 Pc Weight: 3.70 ct Gem Shape: .. Product Description Gemstone Name : Natural south sea moti Number of Pieces: 1 Pc Weight: 3.88 ct Gem Shape: .. Product Description Gemstone Name : Natural south sea moti Number of Pieces: 1 Pc Weight: 3.96 ct Gem Shape: .. Product Description Gemstone Name : Natural south sea moti Number of Pieces: 1 Pc Weight: 4.08 ct Gem Shape: .. Product Description Gemstone Name : Natural south sea moti Number of Pieces: 1 Pc Weight: 4.14 ct Gem Shape: .. Product Description Gemstone Name : Natural basra pearl moti Number of Pieces: 1 Pc Weight: 4.21 ct,11.55 chaw Gem Shape: .. Product Description Gemstone Name : Natural south sea pearl Number of Pieces: 1 Pc Weight: 4.30 ct Gem Shape: &nbs.. Product Description Gemstone Name : Natural south sea moti Number of Pieces: 1 Pc Weight: 4.33 ct Gem Shape: .. Product Description Gemstone Name : Natural south sea pearl Number of Pieces: 1 Pc Weight: 4.48 ct Gem Shape: &nbs.. Product Description Gemstone Name : Natural south sea pearl Number of Pieces: 1 Pc Weight: 4.62 ct Gem Shape: &nbs.. Product Description Gemstone Name : Natural south sea moti Number of Pieces: 1 Pc Weight: 4.68 ct Gem Shape: .. Product Description Gemstone Name : Natural south sea moti Number of Pieces: 1 Pc Weight: 4.69 ct Gem Shape: .. Product Description Gemstone Name : Natural south sea pearl Number of Pieces: 1 Pc Weight: 4.70 ct Gem Shape: &nbs.. Product Description Gemstone Name : Natural south sea moti Number of Pieces: 1 Pc Weight: 4.74 ct Gem Shape: .. Product Description Gemstone Name : Natural south sea pearl Number of Pieces: 1 Pc Weight: 4.76 ct Gem Shape: &nbs.. Product Description Gemstone Name : Natural real pearl Number of Pieces: 1 Pc Weight: 4.77 ct Gem Shape: as .. Product Description Gemstone Name : natural south sea pearl Number of Pieces: 1 Pc Weight: 4.80 ct Gem Shape: &nbs.. Product Description Gemstone Name : Natural south sea pearl Number of Pieces: 1 Pc Weight: 4.86 ct Gem Shape: &nbs.. Product Description Gemstone Name : Natural south sea pearl Number of Pieces: 1 Pc Weight: 4.88 ct Gem Shape: &nbs.. Product Description Gemstone Name : Natural south sea moti Number of Pieces: 1 Pc Weight: 4.95 ct Gem Shape: .. Product Description Gemstone Name : Natural south sea pearl Number of Pieces: 1 Pc Weight: 3.31 ct Gem Shape: &nbs.. Product Description Gemstone Name : Natural south sea pearl Number of Pieces: 1 Pc Weight: 4.96 ct Gem Shape: &nbs.. Product Description Gemstone Name : Natural real pearl Number of Pieces: 1 Pc Weight: 5.36 ct Gem Shape: as .. Product Description Gemstone Name : Natural south sea moti Number of Pieces: 1 Pc Weight: 6.11 ct Gem Shape: .. Product Description Gemstone Name : Real moti Number of Pieces: 1 Pc Weight: 6.45 ct Gem Shape: as per pictu.. Product Description Gemstone Name : Natural south sea moti Number of Pieces: 1 Pc Weight: 6.82 ct Gem Shape: .. Product Description Gemstone Name : Real moti Number of Pieces: 1 Pc Weight: 7.01 ct Gem Shape: as per pictu.. Product Description Gemstone Name : Real moti Number of Pieces: 1 Pc Weight: 7.28 ct Gem Shape: as per pictu.. Product Description Gemstone Name : Natural south sea pearl Number of Pieces: 1 Pc Weight: 8.55 ct Gem Shape: &nbs.. Product Description Gemstone Name : Real moti Number of Pieces: 1 Pc Weight: 9.20 ct Gem Shape: as per pictu.. Product Description Gemstone Name : Real moti Number of Pieces: 1 Pc Weight: 10.33 ct Gem Shape: as per pict.. Product Description Gemstone Name : Natural south sea moti Number of Pieces: 1 Pc Weight: 11.57 ct Gem Shape: &nbs.. Product Description Gemstone Name : Natural south sea moti Number of Pieces: 1 Pc Weight: 12.03 ct Gem Shape: &nbs.. Product Description Gemstone Name : Natural south sea moti Number of Pieces: 1 Pc Weight: 12.05 ct Gem Shape: &nbs.. Product Description Gemstone Name : Natural south sea moti Number of Pieces: 1 Pc Weight: 12.07 ct Gem Shape: &nbs.. Product Description Gemstone Name : Natural south sea moti Number of Pieces: 1 Pc Weight: 12.28 ct Gem Shape: &nbs.. Product Description Gemstone Name : Natural south sea moti Number of Pieces: 1 Pc Weight: 12.34 ct Gem Shape: &nbs.. Product Description Gemstone Name : Natural south sea moti Number of Pieces: 1 Pc Weight: 12.51 ct Gem Shape: &nbs.. Product Description Gemstone Name : Natural south sea moti Number of Pieces: 1 Pc Weight: 12.66 ct Gem Shape: &nbs.. Product Description Gemstone Name : Natural south sea moti Number of Pieces: 1 Pc Weight: 12.73 ct Gem Shape: &nbs.. Product Description Gemstone Name : Natural south sea moti Number of Pieces: 1 Pc Weight: 13.05 ct Gem Shape: &nbs.. Product Description Gemstone Name : Natural south sea moti Number of Pieces: 1 Pc Weight: 13.82 ct Gem Shape: &nbs.. Product Description Gemstone Name : Real moti Number of Pieces: 1 Pc Weight: 13.83 ct Gem Shape: as per pict.. Product Description Gemstone Name : Natural south sea moti Number of Pieces: 1 Pc Weight: 15.71 ct Gem Shape: &nbs.. Product Description Gemstone Name : Natural south sea moti Number of Pieces: 1 Pc Weight: 15.72 ct Gem Shape: &nbs.. Product Description Gemstone Name : Natural south sea moti Number of Pieces: 1 Pc Weight: 16.19 ct Gem Shape: &nbs..